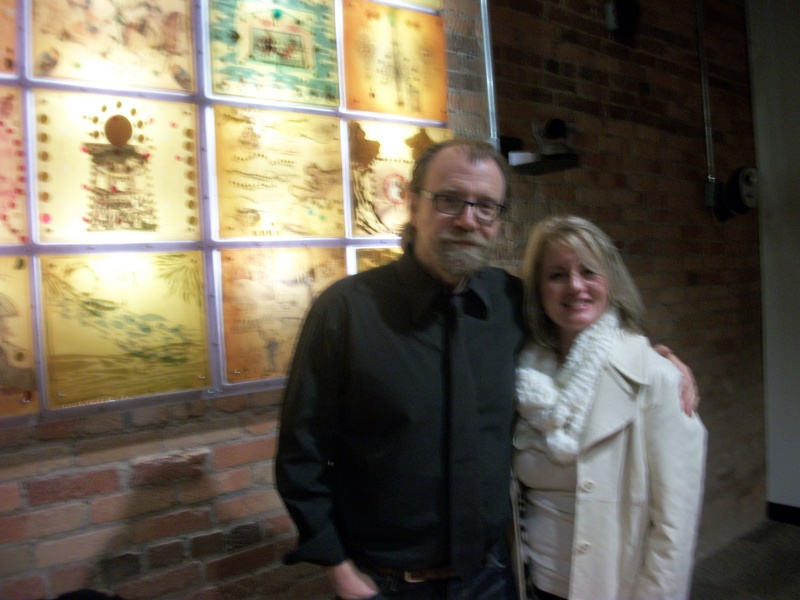 An Evening with George Saunders! It’s a rare experience to meet someone so brilliant yet so self-effacing and humble. His wisdom to his fellow writers was simple and pithy. Push yourself over the rapids and don’t shy away from writing about things that trouble you. And there’s nothing wrong with humor in literature! If you’re funny in life, your writing should reflect your personality. He also spoke of his writing influences, which were esoteric to say the least: Esther Forbes, Monty Python, Chekhov, even the rock group Styx! He and I chatted for a few moments while he signed my copy of Tenth of December about the importance of memory to the writer, and his ability to bring his own characters to life by recalling his own experiences in similar situations. I’ll close by saying that I’ll remember this night for the rest of my life! Thank you Nancy! P.S. If you haven’t read Tenth of December, his short story collection, I highly recommend it. Try “Victory Lap”, a story he read tonight that is at turns both humorous and gripping. This entry was posted in Uncategorized and tagged advice for writers, chekhov, duke university, esther forbes, george saunders, monty python, short stories, styx, tenth of december on February 5, 2014 by Ashley Memory.